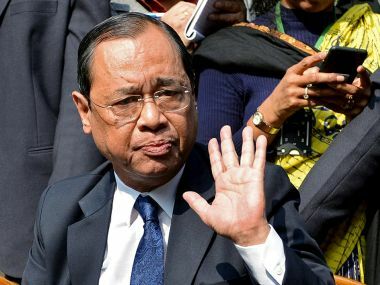 Media reports indicate that the Chief Justice of India (CJI) has reached out to his four dissenting colleagues and held a 15-minute meeting on Tuesday to sort out their "differences". They will meet again. This is a welcome step. It will be interesting to note the outcome of the meetings, given the seriousness of the charge that the 'rebel' judges had brought against the CJI. It is difficult to see how an "amicable solution" may still emerge. If the judges fall in line, their dissent will be deemed pointless and an exercise in vanity that did little else other than robbing the Supreme Court of its veneer of respectability. If they don't, we are in for a protracted crisis. However, we must not get ahead of the story. For now, the "heart-to-heart" chat is slated to resume on Wednesday. At this stage, it is still unclear whether the four rebel judges have achieved their purpose in approaching the media. What is already clear though is that public perception about the Judiciary and the land's highest court has taken a severe beating. 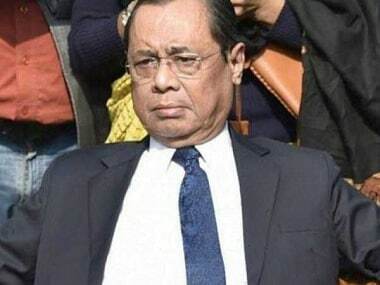 In breaking the code and bringing their grievances against CJI Dipak Misra out in the open, judges Jasti Chelameswar, Ranjan Gogoi, Madan B Lokur and Kurian Joseph have driven home the truth about the adage why judges should never be heard outside the court. For the last few days, since that extraordinary press conference at Justice Chelameswar's residence, media, activists, lawyers, activist-lawyers, NGOs, sanctimonious "eminent citizens", members of the Lutyens' ecosystem, Opposition politicians and even the RSS have engaged in a free-for-all. As an institution, the Supreme Court is being hauled over the coals – doubts are being raised over everything, including the constitution of benches to verdicts. The denigration has been swift, tragic and irreversible. For instance, a headline in Tuesday's edition of a national daily read: 'Four judges who criticised CJI Dipak Misra not on Bench that will hear 7 key matters'. It is possible to draw an inference from the headline that there is a correlation between the dissenting judges' conduct and their absence from "key matters". The implications of such an inference go further. To recall, the point of friction that led four judges to attack the CJI in media was that "important cases" are being assigned to "junior judges" and "select benches" bypassing senior ones. As The Times of India had noted in a report, "the discontent over not being assigned important cases that get space in newspapers and TV channels was simmering for a long time, even before Misra took over the top post in August last year." 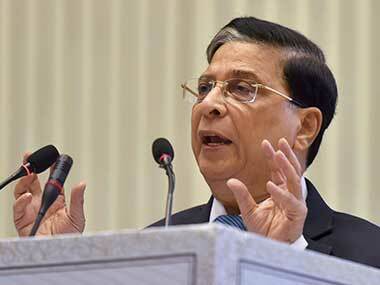 Though a Constitution Bench of the Supreme Court had earlier ruled that the CJI is the 'master of the roster' and reserves the right to constitute benches, the dissenting judges had alleged through a letter to the CJI that "the convention of recognising the privilege of the chief justice to form the roster and assign cases to different members/benches of the court is a convention devised for a disciplined and efficient transaction of business of the court, but not a recognition of any superior authority, legal or factual, of the chief justice over his colleagues. It is too well-settled in jurisprudence that the chief justice is only the first among equals — nothing more or nothing less." This is where the charges fail the logic test. If the CJI is merely the "first among equals" and possesses no "superior authority, legal or factual" over his colleagues, then where does the question of "seniority" or "junior judges" arise? The Supreme Court has 25 seasoned judges on its roster. These are men/women of high competence, eminence and experience. No one can walk his or her way into becoming a judge at the apex court without requisite qualifications. If that is so, why are the dissenting judges putting up seniority as a benchmark while demanding to adjudicate "key" cases? A lawyer Lakshminarayanan Venkatachari writes in his column for The Times of India: "If every judge is equal to the other, then where is the question of seniority? The verdict is that of the Supreme Court, not of individual judges. Further, Supreme Court is not comprised by judicial greenhorns but by seasoned judges of constitutional courts, who have put in a decade or more in the Judiciary." This fallacy has now paved the way for media, pressure groups and politicians to raise questions against the competence of the apex court. The Supreme Court has 21 other judges in addition to the four 'rebel' ones. How does it matter who adjudicates over the case? Questioning the constitution of benches is tantamount to raising doubts over the fairness of the verdict, and no judicial institution (much less the highest court of the land) may operate under that trust deficit. When we consider media reports that "super sensitive" cases have been given to "junior" SC judges for the last 20 years under different CJIs, then the bone of contention that led the four judges to take such an unprecedented step makes even less sense. As Dhananjay Mahapatra writes in The Times of India: "TOI tracked 15 'super sensitive cases of national importance' in the last two decades, including those relating to Bofors, Rajiv Gandhi assassination, LK Advani's trial in Babri Masjid demolition, Sohrabuddin Sheikh fake encounter, Best Bakery and the case that changed how the BCCI is run. All of them have one thing in common — they were assigned by the then CJIs, not to any of the four senior-most judges of the SC but to 'select benches' headed by junior judges." This not only points to the fact that "seniority" has never been an entitlement in the apex court, it also raises troublesome questions about the motive behind the four judges' pressure tactics. Let's revisit the letter. "There have been instances where cases having far-reaching consequences for the nation and the institution had been assigned by the chief justice of this court selectively to the benches 'of their preferences' without any rational basis for such assignment. This must be guarded against at all costs," they wrote. 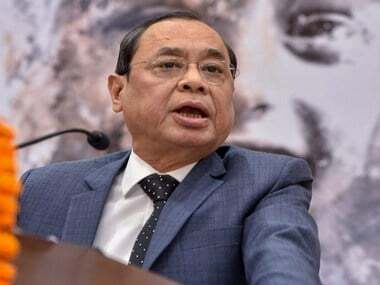 In voicing their lack of trust in the way CJI constitutes benches or performs administrative functions, the dissenting judges have made an implication that the departures from convention have been carried out with a motive to fix the outcomes. This is the most damaging charge against the CJI that not only raises doubts over his integrity but also suggests that their colleagues are amenable to influence. If media reports are to be believed, the customary Monday morning meeting among the judges (the first since the public allegations) saw stormy scenes. The Times of India quoted a source in claiming that a junior judge accused the 'rebels' of bringing the institution into disrepute. "Why did you go to the press without even informing other judges about the grievance of assigning of cases by the CJI to select benches? By going to the press, you wanted to tell the world that only senior judges are competent to handle cases and junior judges are not. You have killed the institution, its reputation and maligned every single judge," the junior judge reportedly said. The gravity of the charges makes it difficult for an amicable solution to arise. It is difficult to see how there will be a reconciliation between the 'rebels' and other judges when entire reputations are at stake. As Pratap Bhanu Mehta writes in The Indian Express, "There is no half-way house when it comes to guilt or innocence. The judge's press conference, and the artfully evasive letter, seem to suggest there is. But now that they have gone public, they have to follow through on the seriousness of the charge; otherwise, this is just pressure tactics. 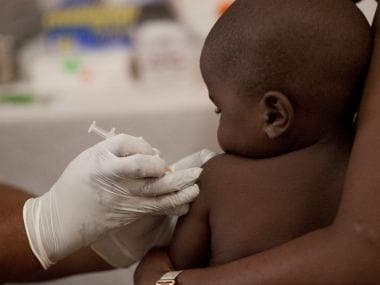 It is dangerous pressure tactics because one implication will be that any 'pro-government' decision on a bench allotted by the chief justice, will now have the imprimatur of doubt over it." The nature of the gambit is such that the dissenting judges must take their dissent to its logical conclusion. Any attempts at papering over the crisis or shutting the eyelids closely and hoping the dust storm will subside won't work.